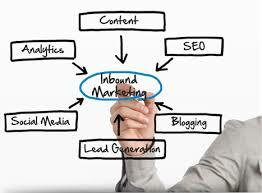 If you’re wondering what’s the in thing with regards to internet marketing, well, this is it – Inbound Marketing! Inbound marketing is the process of earning a person’s interest as opposed to buying it. This involves writing relevant contents,using effective social media campaigns, webinars/podcasts, SEO approaches and white papers which saves you a lot of cash in the process as compared to outbound marketing. Inbound marketing seeks to inform, educated and sometimes even entertain. Its actually a noninvasive approach wherein people are actually drawn to your brand and converts them into lasting customers – sort of like what attraction marketing is, but waaayyy better as other platforms and applications are integrated in the process. How many times have you left unopened emails? Or perhaps included your telephone number in the DO NOT CALL LIST? or perhaps even unsubscribe from an email? I bet you even skipped A LOT of TV and Youtube ads? Outbound marketing is quickly losing its charm! People are getting sick and tired being bombarded left and right with irrelevant products and services. One key point to always remember is that you have to develop a positive connection with the consumer. This will likely make him engage and may even buy from you. This simply doesn’t help. NOT A BIT. 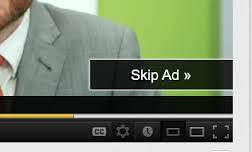 I bet you click that ad off after the 5 seconds countdown is over right? See what I mean. 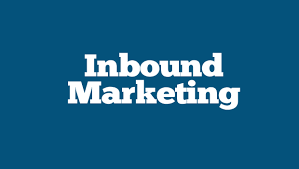 Inbound marketing entices your consumer to come looking for you. You don’t seek them out. They come to you. This happens with continuous production of great and relevant contents that provide much needed value. Inbound marketing is a multi channel approach because it gets to where the people are and the channel where they want to interact with you. These channels can be through keyword search, blogs, social media and others. If you are tired of putting out cash on your cold calling technique or even promo ads, why not try using the Inbound Marketing approach? More on this next time, stay tuned! This entry was posted in online marketing tips and tagged blogging, business opportunities, inbound marketing, internet marketing, marketing, marketing tips, online marketing, outbound marketing, seo tips, social media networking, website, work from home on October 16, 2014 by Steve Mack.